My friends, Brit and Larry, have four lovely kids. The second child, Haley, when she was moving up to third grade, got referred to a Level IV advanced academic program by her teacher. 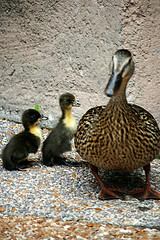 Brit and Larry had heard of advanced programs, but never really focused on them. So when Haley got referred to the program, they wondered why their other two girls*, who were also in elementary school, hadn’t been referred as well. Well, it turns out that teachers may refer a student. But often, teachers are busy and don’t get to referring academically-inclined children to an Advanced Academic Program. Or perhaps they don’t think it’s their place to do so. 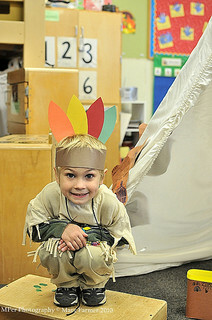 When you were a kid in school, do you remember acting out the Thanksgiving story? Or building a “real” volcano? The CETA – Changing Education Through the Arts program enhances children’s education. Of course you remember, because you had a chance to live them, rather than simply read (or be told) about them. That’s the power of multi-sensorial learning strategies. What is Changing Education Through the Arts – CETA? 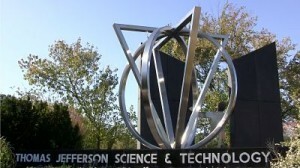 Thomas Jefferson High School for Science and Technhology (TJHSST) is currently ranked as the # 1 High School in Virginia and the #2 High School in the Nation. A few years ago, I remember my young neighbor Amy coming back from middle school later than most middle school kids in the neighborhood. I asked her if she was in after-school programs and she said that she came home later because she attended Carson MS instead of our neighborhood-assigned middle school. A few years later, she had to get up even earlier and come home even later than her High School friends in the neighborhood because she was attending Thomas Jefferson High School. Now I realize that she was following in her brother’s footsteps and pursuing a Science, Technology, Engineering and Math (STEM) path toward college. When Andy & Paula got married, they bought themselves a place in a lovely area where it was easy to walk out the door and get something to eat. Andy & Paula also really loved the pool and the gym that were part of their community. But, one day, they found out that there were no longer only two members of their little family, but that in a short 9 months, they’d be three. That’s when they decided that they could probably use a bit more space, and perhaps even a little yard. Since they were moving, they decided to consider their school options as part of their home search… but where to start? In Fairfax County, it’s best to start by choosing a school because the attendance areas are very strict. So it’s easier to choose a school first, and then find a home that belongs to that school’s boundary. When choosing a high school, either for a current high-schooler or for the future, there are several considerations. One consideration which is in almost every parent’s mind is: How good is the school? But when they say “good”, most parents are referring to how much their children will be challenged to reach their highest potential.